LEXUS IS220 DIESEL 2005 - 2013 ( XE20 ). OTHER IS220 / IS250 PARTS 2.2 DIESEL ENGINE HEAD WITH CAMS AND VALVES. YOU WILL RECEIVE HEAD WITH CAMS AND VALVES ON! NOT ENGINE OR ANY OTHER ANCILARIES! IN GOOD CONDITION AND FULLY WORKING ORDER. ITS IN GOOD CONDITION, TAKEN FROM 60k MILES LEXUS IS200. WILL FIT ALL LEXUS IS200 models 1999 - 2005 auto and manual versions! 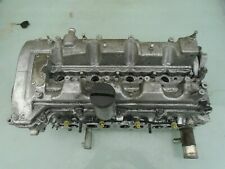 1G-FE ENGINE CYLINDER HEAD. CAR HAD FULL SERVICE HISTORY! NICE AND CLEAN! LEXUS IS220D 177BHP 2008. We try our best to make sure that you receive the item as you have expected it to be. In such a case. EVERY PART TAKEN OUT OF THE VEHICLE HAS BEEN TESTED. THIS PART IS GENUINE AND IN GOOD WORKING ORDER. REMOVED FROM LEXUS IS250 2.5 PETROL,SE-L AUTO,SALOON 2009 YEARS,204 BHP,6 SPEED AUTOMATIC GEARBOX,ENGINE CODE 4GR,PAINT CODE 077 WHITE. MY AIM IS TO MAKE SURE YOU ARE ALWAYS 100% HAPPY! LEXUS IS200 2.0 1GFE 1G-FE 6 CYL 24V HEAD BOLT SET. 99 05 LEXUS IS 200 2.0 6CYL 24V 155BHP 6SP MANUAL 4DR SALOON PETROL. ALL ENGINES SOLD ARE SOLD AS BARE ENGINE HEAD & BLOCK - ANY ANCILLARIES LEFT ON THE ENGINE ARE NOT TESTED. SEE PICTURES FOR CONDITION AND TO COMPARE WITH YOUR PART! PART NUMBER: LH 4GR. THIS ITEM HAS BEEN REMOVED FROM A 2009 LEXUS IS250 2.5 V6. THIS IS A GENUINE LEXUS USED PART. We will always help you to have a 100% positive happy buying experience. GENUINE OEM PART. 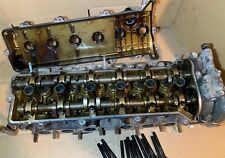 Complete Cylinder Head with Camshafts – Left Bank. 2001 Lexus LS430 4.3 V8. 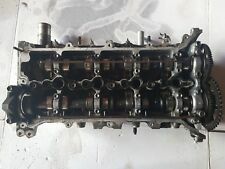 We have for sale this Complete Cylinder Head with Camshaft from a 2001 Lexus LS430 4.3 V8. All cleaned and ready to fit. Part Number – N/A. Taken From The Model:Lexus RX 450H F Sport RX3 Hybrid Electric 2013. Model: RX 450H F SPORT Manf Date Make: LEXUS Gears: 1. Trim Type: ESTATE Reg Date: 31-03-2013. Trim: Introduced CC's: 3456 Engine No: 2GRJ628759. Removed from good running Lexus IS220d manual 2007 RHD. If the item is used, we are unable to accept the goods back. Any problem will be resolved regarding our support team. We always will do the best for both sides to be happy! AND WE WILL DIRECT YOU. IN DOUBT WHETHER IT WILL FIT?. LEXUS IS200 1999-2005 ALL MODELS ( S - SE - SPORT - SPORTCROSS - AUTO AND MANUAL ). ROCKER COVER PART OF VVTI PART SECTION. OTHER IS200 / IS300 / IS220 / IS250 PARTS GENUINE LEXUS PART. TO FIT 2.0 PETROL 1G-FE ENGINE. Lexus 2AD-FHV 2231 cc 130 177 Diesel. Lexus IS II (_E2_) IS220d 2.2 L / 2231 cc 2005.08 - 2012.07 130 Kw / 177 HP Engine Code: 2AD-FHV. AJUSA is a leading international manufacturer of automotive gaskets/sets, cylinder head bolt sets, and hydraulic lifters. PART FITS TO ALL - LEXUS IS200 1999-2005 SE AND SPORT MODEL AUTO AND MANUAL. IT WAS REMOVED FROM IS200 AND IN GOOD CONDITION AND FULLY WORKING ORDER. WILL FIT ALL IS200 MODELS 99-2005 S SE SPORT. AUTO AND MANUAL. We have for sale this Rocker Cover from a 2001 Lexus LS430 4.3. Left Bank Rocker/Camshaft Cover. 2001 Lexus LS430. Engine Code – N/A. We have for sale this Rocker Cover from a 2001 Lexus LS430 4.3. Right Bank Rocker/Camshaft Cover. 2001 Lexus LS430. Engine Code – N/A. From a Toyota Lexus Soarer SC400 SC300 Mk2 3.0 2JZ-Z20 (non-VVTi), Automatic Transmission - A340E. Based in Halifax, West Yorkshire, we will do all we can to ensure you get the OEM parts you want, at an unbeatable price. Lexus IS 220 2.2 diesel 5 door saloon 6 speed 2007 - colour code 1G1. -All the parts are from UK which are RHD vehicles, we can not promise that the parts will fit LHD vehicle. Engine cover. FULLY TESTED & EXCELLENT WORKINGTOYOTA ORIGINAL COMPLETE 16 VALVE CYLINDER HEAD WITH CAMS & VALVES COMPATIBLE FOR TOYOTA PRIUS ZVW50, LEXUS CT200H, PRIUS V, PRIUS ZVW30, AURIS HYBRID 2008-16. ENGINE CODE:2ZR-FXE 16V DOHC 1.8 LTR PETROL & HYBRID. Lexus IS220d Diesel Engine Camshaft Camshafts 2005-2012. Removed from good running Lexus IS220d manual 2007 RHD. Engine code : 2AD-FHV. Part Number 7Y00291 22J29058. Engine power: 110 KW and 130 KW / 150 HP and 177 HP. Model: IS 220 d. Car manufacturer: Lexus. Engine Code:4GR-FSE 110. For sale used but fully functional cylinder head with valves suitable for. Turn heater and fan to maximum and start the engine. Let your car tick over for 60 minutes. Top up the radiator with antifreeze and water, then replace the radiator cap on tightly. Make sure engine is cold and remove the radiator cap. REMOVED FROM - LEXUS LS400. 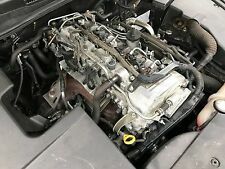 ENGINE - 4.0 V8 1UZ-FE. IT LISTS RANGES OF VEHICLES A PART MAY FIT, HOWEVER IT DOES NOT TAKE INTO ACCOUNT ENGINE CODES, TRANSMISSION, TRIM/FACELIFT MODELS ETC. YEAR - 1996. Typ IS 200 JCE Sport Cross. Vehicle Lexus. The vehicle match list is only intended to assist in your search. Cross reference. As the vehicle list does not contain all vehicles, you may not find the vehicle you are looking for. 2015 Lexus NX Hybrid 2014 On 300h Luxury VVT-i 4WD 2.5 1 Speed CVT Petrol/Electric 5 Door Hatchback Engine Cover All of our mechanical and electrical parts come with a 3 month warranty as standard, this covers the part itself but does not cover any labour charges incurred from fitment or removal of the item. (Terms and Conditions Apply). For extra peace of mind, extended warranties are available upon request at an additional charge. For more information please message us. Please be aware that all our items are removed from right hand drive vehicles unless otherwise stated. If you are unsure if this item will fit your vehicle or if you have any other questions then please call our parts department who will be happy to help. If you have any problems at all then please message us through eBay and we will happily help to resolve any issues. Vehicle Lexus. Typ IS 200 Sport Cross. The vehicle match list is only intended to assist in your search. Cross reference. As the vehicle list does not contain all vehicles, you may not find the vehicle you are looking for. Toyota CELSIOR (UCF2_) 4.0 4.0 L / 3969 cc 1997.07 - 2000.08 206 Kw / 280 HP Engine Code: 1UZ-FE. Lexus LS (_F2_) LS400 4.0 L / 3969 cc 1994.10 - 2000.08 186 Kw / 253 HP Engine Code: 1UZ-FE,Construction year from: 09.1997. PART NUMBER: RH 4GR. THIS ITEM HAS BEEN REMOVED FROM A 2009 LEXUS IS250 2.5 V6. THIS IS A GENUINE LEXUS USED PART. We will always help you to have a 100% positive happy buying experience. GENUINE OEM PART. Taken From The Model:Lexus RX 450H F Sport RX3 Hybrid Electric 2013 - For further details refer to the following table. Model: RX 450H F SPORT Manf Date Make: LEXUS Gears: 1. Colour: ALUMINIUM/SILVER VIN: JTJBC11A802443947. Engine Code / Other Details:3.3 Petrol Hybrid - Engine Code 3MZ-FE - Cylinder Head - Stamp A5AM51 - Rear Head - In Good Condition Removed From Running Vehicle. Item:LEXUS RX SERIES Cylinder Head. COMPATIBILITY IS PROVIDED AS A GUIDE ONLY. REMOVED FROM LEXUS IS 220D DIESEL SALOON 2007 YEARS,177 BHP,6 SPEED MANUAL GEARBOX,ENGINE CODE 2AD-FHV,PAINT CODE 8U0. MY AIM IS TO MAKE SURE YOU ARE ALWAYS 100% HAPPY!